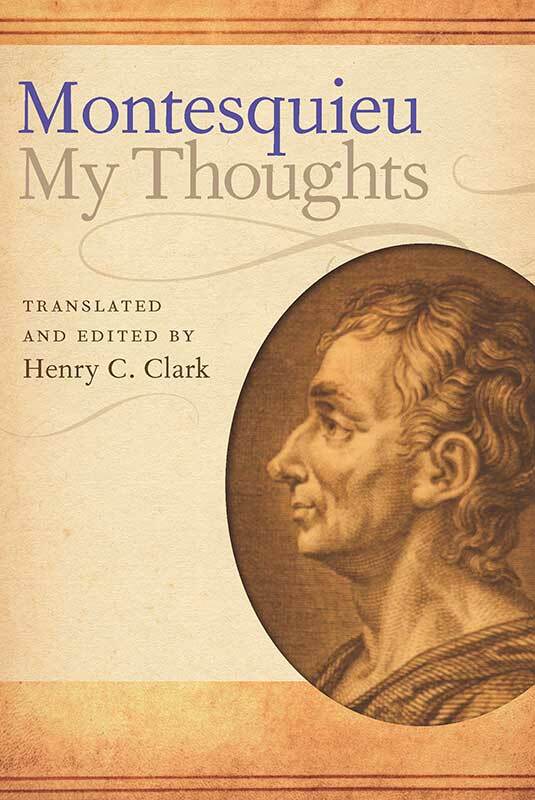 My Thoughts provides a unique window into the mind of one of the undisputed pioneers of modern thought, the author of the 1748 classic, The Spirit of the Laws. From the publication in 1721 of his first masterpiece, Persian Letters, until his death in 1755, Montesquieu maintained notebooks in which he wrote and dictated ideas on a wide variety of topics. Some of the contents are early drafts of passages that Montesquieu eventually placed in his published works; others are outlines or early versions of projected works that were ultimately lost, unfinished, or abandoned. These notebooks provide important insights into his views on a broad range of topics, including morality, religion, history, law, economics, finance, science, art, and constitutional liberty. Montesquieu called these notebooks Mes Pensées (My Thoughts), and they appear in their entirety in English for the first time in this Liberty Fund edition. Editor and translator Henry C. Clark provides readers with translations of most of the footnotes contained in the 1991 French edition by Louis Desgraves, while adding new notes, a bibliography, and other aids to understanding the text and translation. These features provide the frame for a revealing portrait of one of the most influential figures of the eighteenth century. Henry C. Clark is a Visiting Professor in the Political Economy Project at Dartmouth College. He has written two books and numerous articles, mainly on the French and Scottish Enlightenments. Note on the text, translator's note, note on currency, illustrations, thematic table, concordance, bibliography, index.